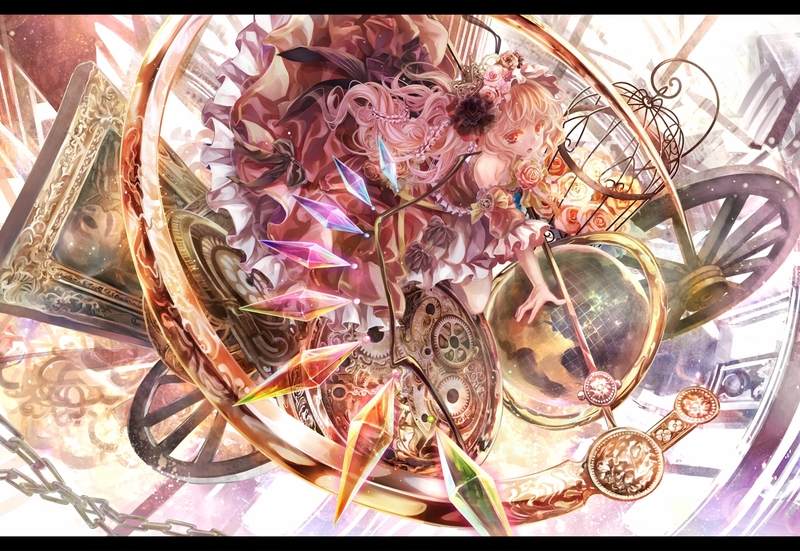 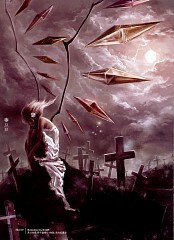 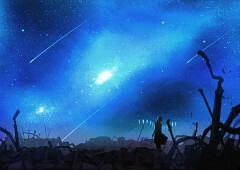 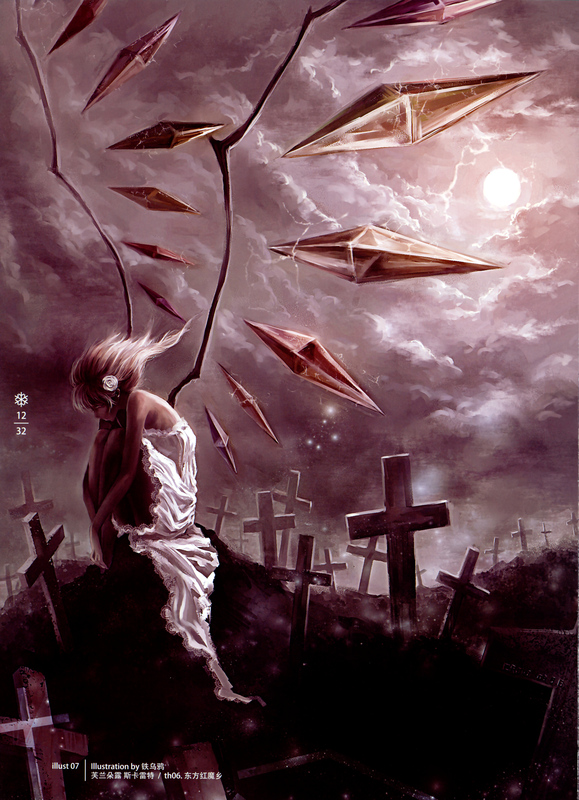 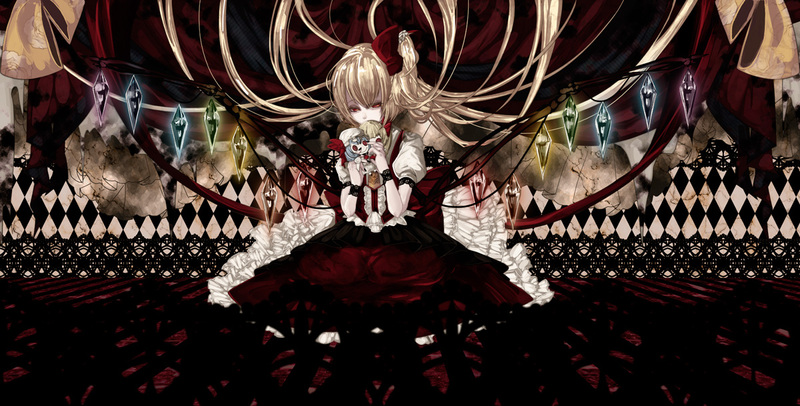 4,452 anime images in gallery. 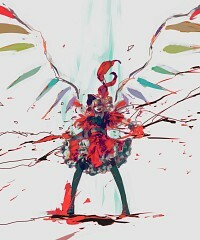 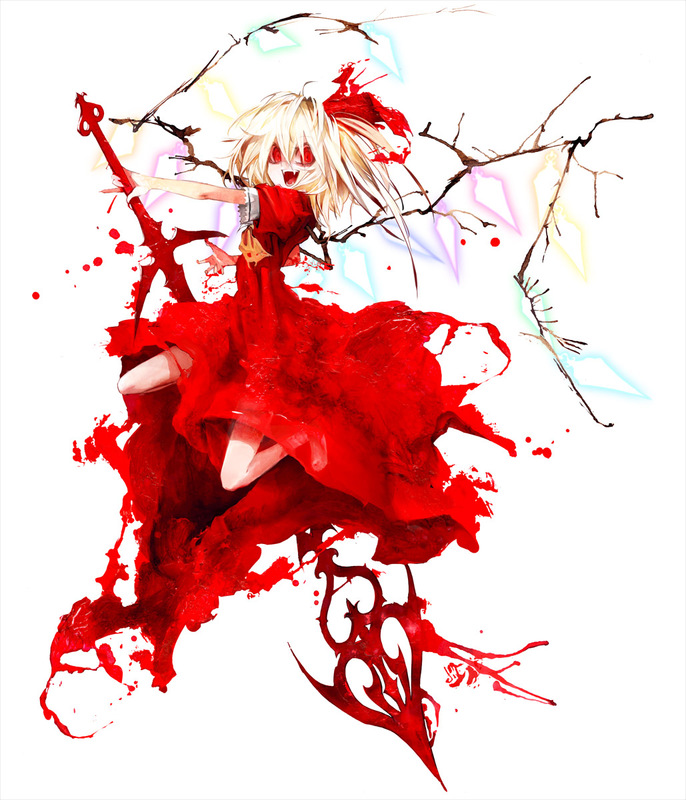 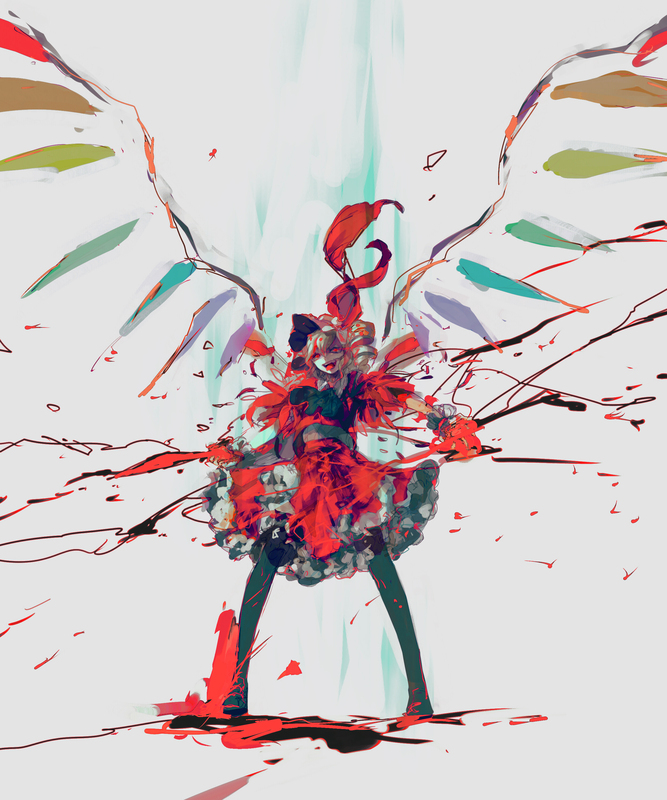 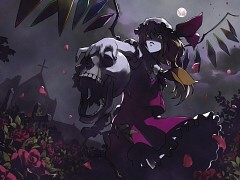 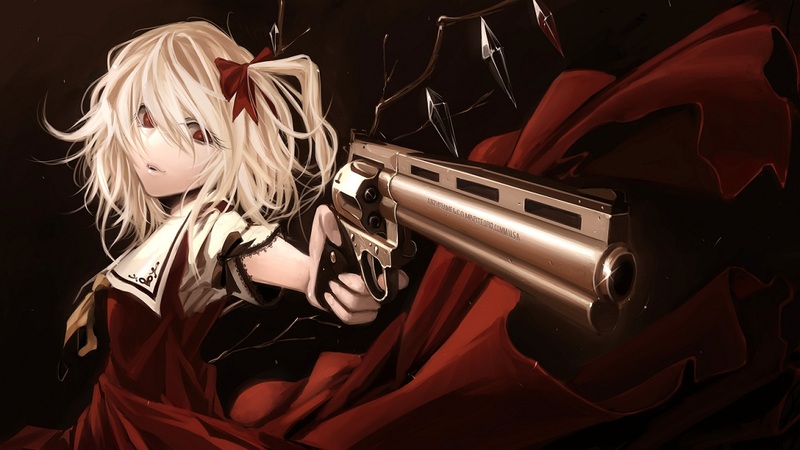 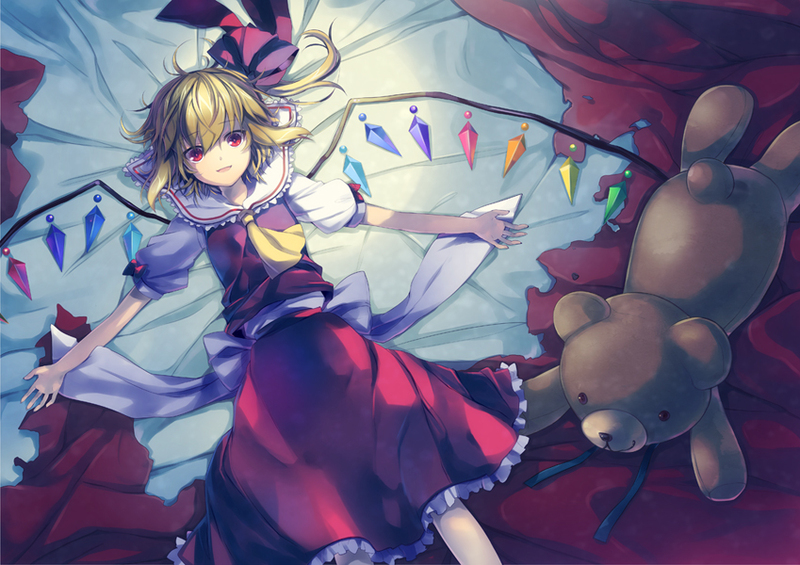 Tagged under Touhou, The Embodiment of Scarlet Devil, Koumajou Densetsu and Vampire (Meta). 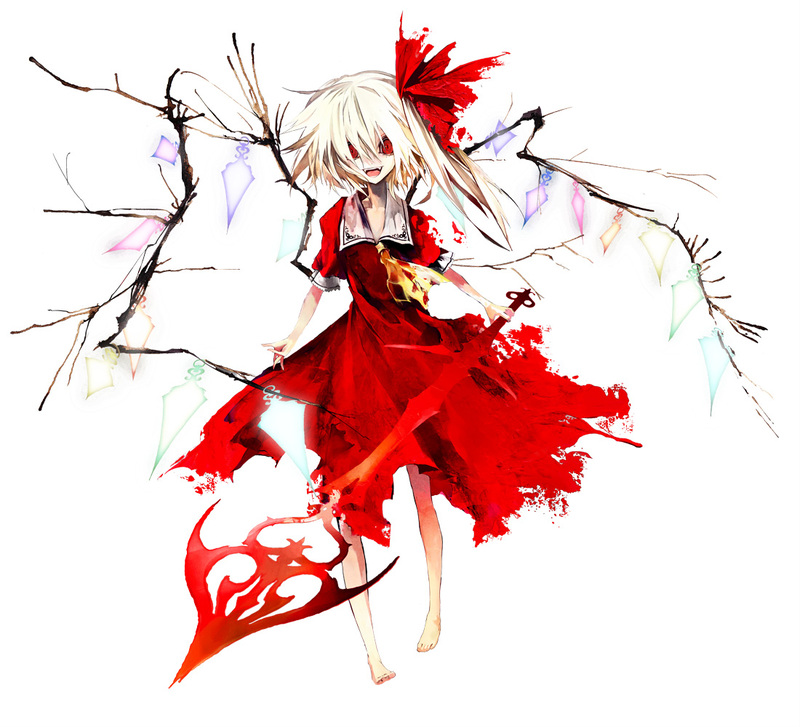 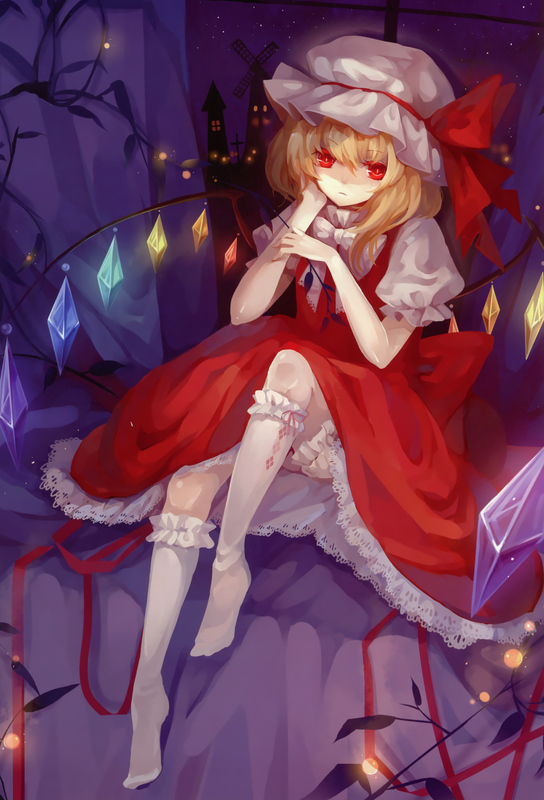 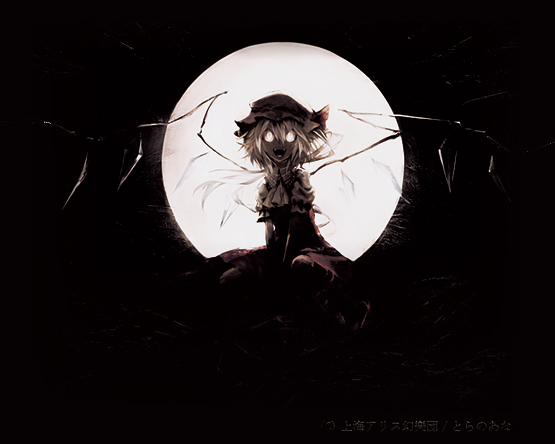 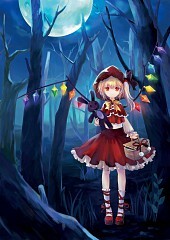 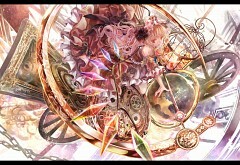 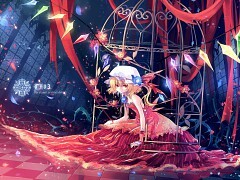 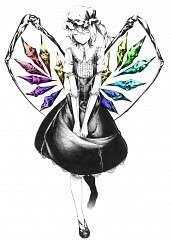 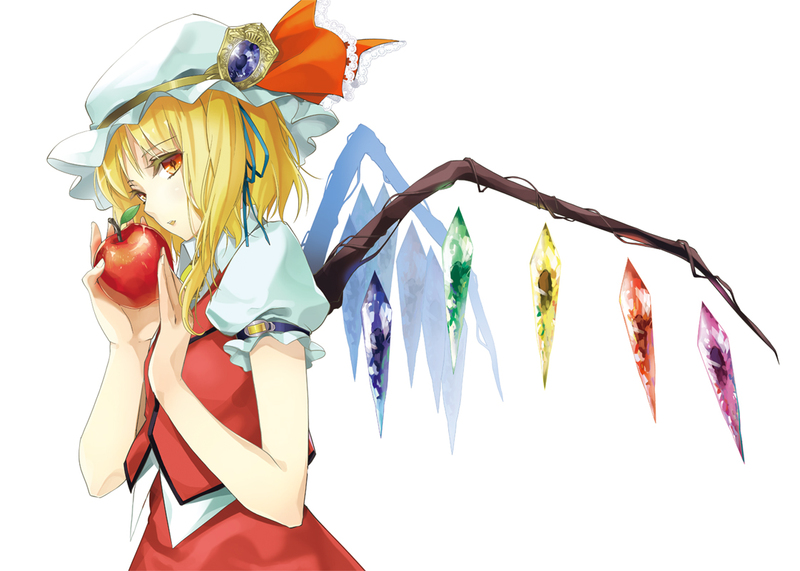 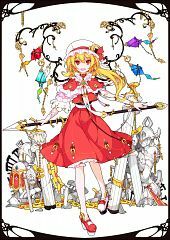 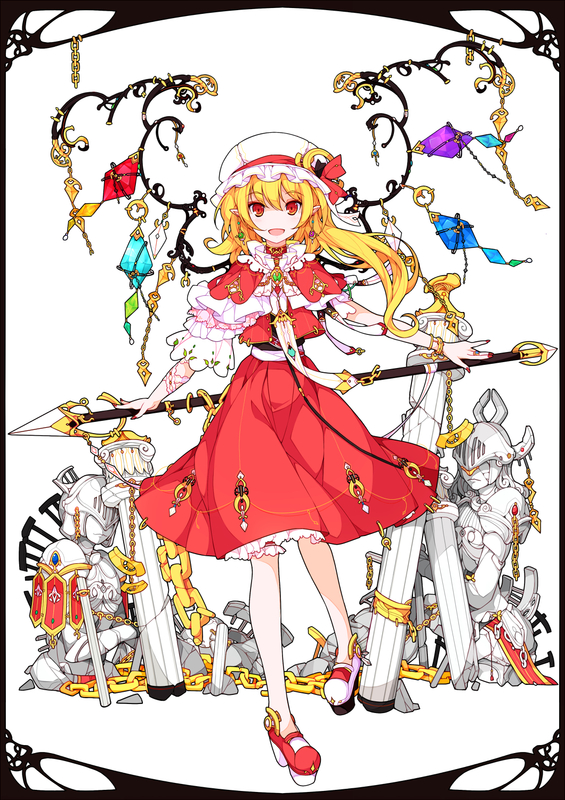 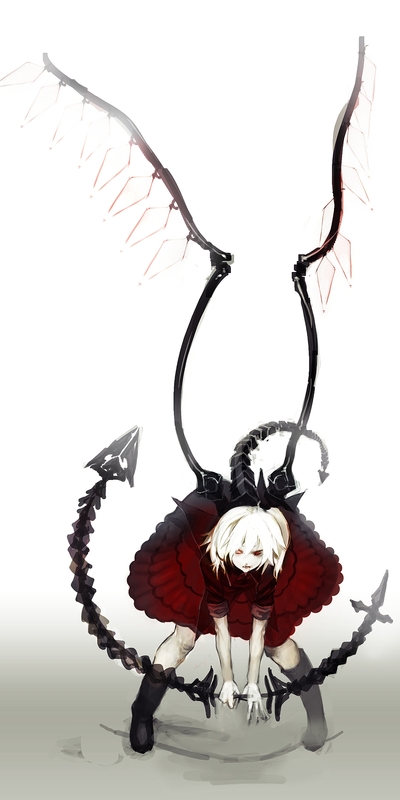 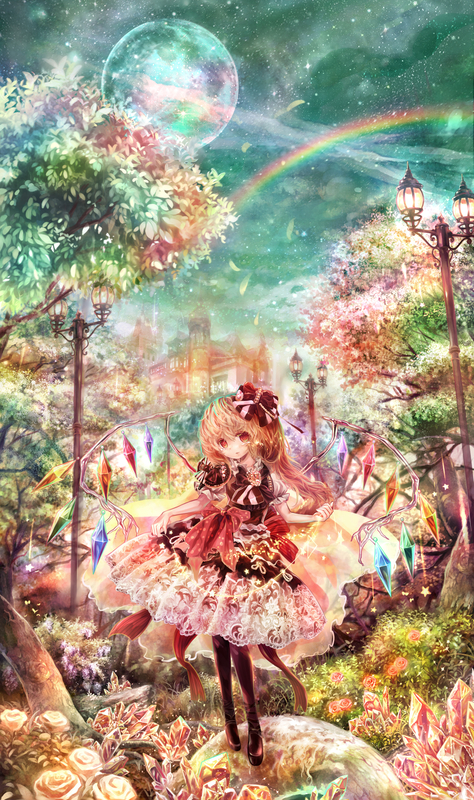 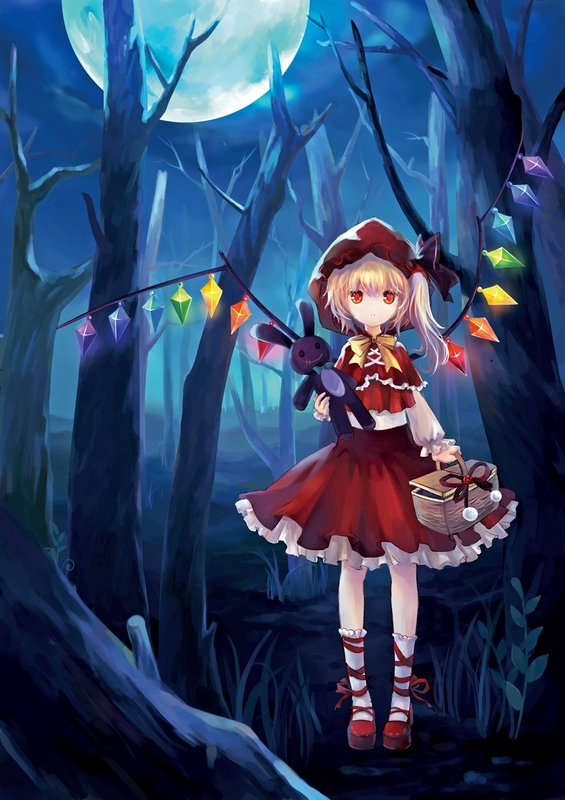 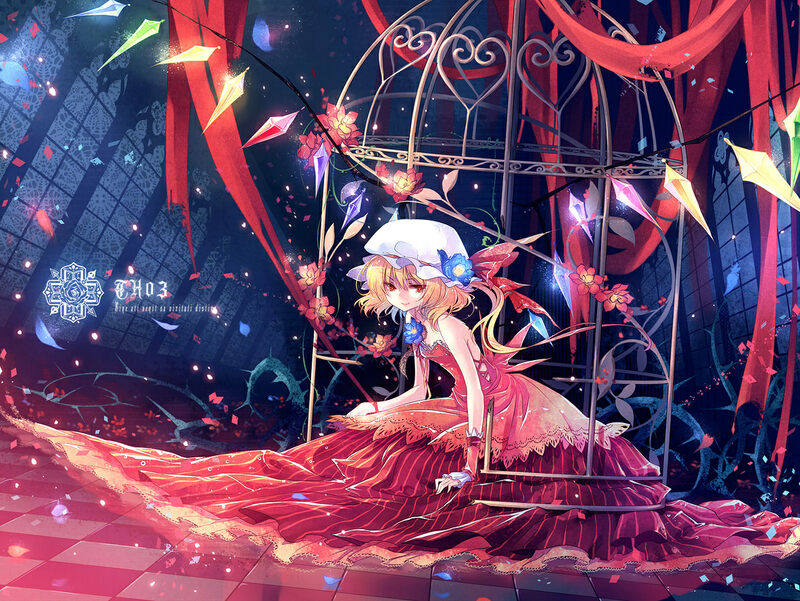 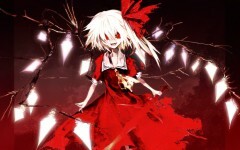 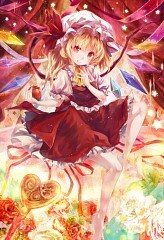 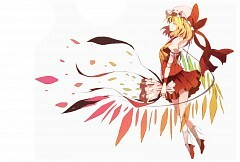 Flandre is the younger sister of Remilia and the "dirty little secret" of Scarlet Devil Mansion. 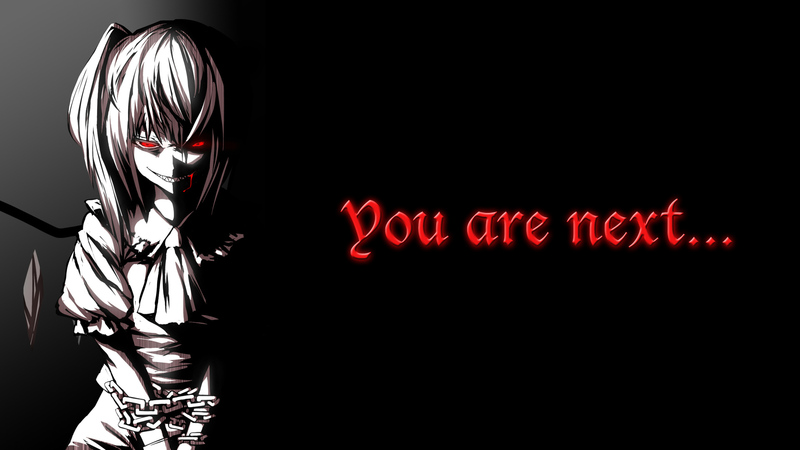 Because of her unstable personality and incredible destructive power, her sister has had her locked up in the basement for nearly 500 years. She knows little about the world outside and until the heroines arrived during the Extra Stage of Embodiment of Scarlet Devil she has had no substantive contact with any humans save Sakuya Izayoi.